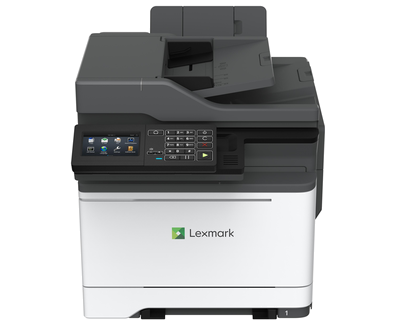 The multifunction Lexmark CX522ade builds on output of up to 33 pages per minute* with a 4.3-inch [10.9 cm] colour touch screen. Driven by a 1.2GHz quad-core processor and up to 6 GB of memory, the CX522ade prints up to 33 pages per minute* and can scan up to 47 images per minute. With its steel frame, long-life imaging system, ease of upgrades and robust paper feeding system, it’s ready for lasting performance in any environment.